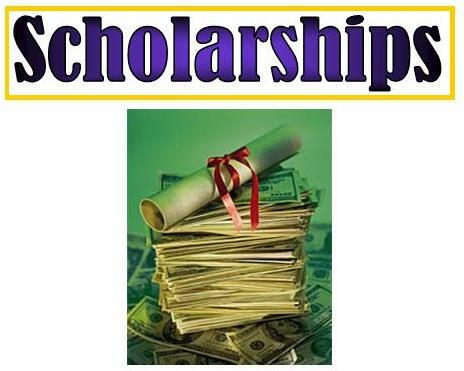 Scholarships are a type of financial gift offered by private companies, schools, nonprofits, religious groups, social organizations, professional organizations, employers, individuals and more. These gifts are offered with the intent to help students get through the tuition blockade that stops many people from affording a run through university, and the best part is that they do not need to be repaid. Some scholarships are offered based on merit, meaning you’ll need to meet some prerequisites as set by the entity offering the scholarship. Some might be rewarded based on how well you do in high school or a combination of this and other special interests. Others are offered to those with low income. There are actually many scholarships offered to particular types of people, such as women or seniors in high school. Some are offered due to your background or because of where your parents work, such as scholarships for military families. Depending on the entity offering the scholarship, it might cover the entire cost of going to university, or it might just give you a few hundred dollars. In any case, it is definitely worth looking into as every dollar counts. When you apply for a scholarship or grant ultimately depends on when the deadline is. Some may require an application a full year before the beginning of college, which means high school juniors should start to look into these before becoming seniors. If it’s too late, there are still plenty of grants that can be applied to later. How you apply for the grant also depends on the specific requirements. The website should provide prerequisites that must be met as well as instructions on how to apply. Ensure that you read this thoroughly and meet the deadline provided to be considered for a scholarship. Each scholarship will have different means of delivering the money, such as going directly to the college or sent to you via check. In either case, the provider should tell you what will happen with the money and when they will inform you of the award. Scholarships affect your financial aid in a way because everything you receive for college cannot be more than what it costs to go to that college. This means you’ll need to inform the university whenever you are awarded with a grant or college so this amount can be subtracted from how much it will cost you to attend the university. The rest that remains can then be covered by other grants or loans. Scholarships and grants may not cover the entirely of tuition, however. This is where student loans can come in, which are another form of financial assistance that college students may get. There are many different kinds to get, and some even come with rather favorable terms of repayment and interest rates. These loans can be used for both tuition and housing expenses, as well as what it would cost to transport yourself and get computers, and so on. The general goal is to ensure that students have reasonable access to education, and the lender banks on the thought that graduates will have marketable skills to help repay the loan. When attending a university, students can apply for financial aid, which provides access to scholarships, grants and loans offered on merit and needs. Students will be informed whether they quality for certain loans, and they can either accept or reject them at that point. The government may administer some loans, and these usually have the best terms of repayment and interest rates. Some come with interest deferment programs, meaning the government pays the interest as long as the student is still in school; you will not need to pay anything until after graduation. Parents can also get these student loans; they need to pay them right away, but the terms are generally still favorable. Private companies also offer student loans, though this can come with a few disadvantages that you should keep in mind if you wish to go this route. For example, a loan offered through a private company will have a higher interest rate than what the government offers, and some may even require immediate payments without deferring the interest or the payments at all. It is also true that a private lender tends to be less forgiving when it comes to the terms of repayment. It is very important to find a private company that offers a legitimate service as some companies have a history of being predatory when it comes to providing students with loans. You will want to discuss all options with a financial aid officer so that you can have someone who is experienced help with finding an appropriate lender. The idea of going into such debt may turn off many students, causing them to avoid student loans. While it’s certainly admirable to see young students wanting to be prudent about their finances, you should not compromise the potential education you can receive with the sole reason of not going into debt, especially when there are many different avenues that are affordable. Of course, it is best to go for scholarships and grants first since these do not need to be repaid, but if a loan is the only thing that stands in the way of attending college, then it is worth looking into getting a manageable loan. This entry was posted in Scholarship Programs on September 10, 2013 by tjentz.